(WB/RWD) (Kigali) 2003 - 2009 (became RwandAir). Photos. Framable Color Prints and Posters. Digital Sharp Images. Aviation Gifts. Slide Shows. 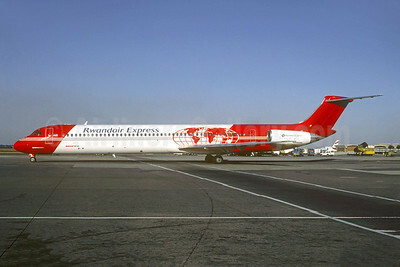 Rwandair Express McDonnell Douglas DC-9-82 (MD-82) 3D-ABV (msn 49119) (Kyrgyz Air colors) JNB (Jacques Guillem Collection). Image: 942304.